Welcome to our Random Acts of Kindness Blog Hop for September 2018! Are you part of our Random Acts of Kindness group yet?? You may be starting here or have come from another blog - you can scroll down the end of the page to see the other blog posts in the hop today. 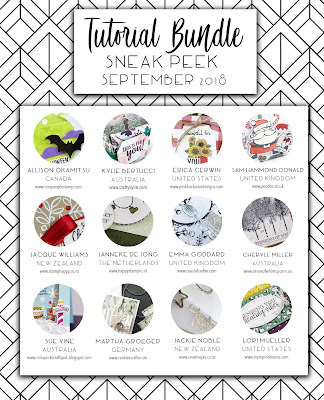 It is a group of Stampin' Up!® crafters from all around the world, Demonstrators, customers - anyone that is a lover of Stampin' Up!® products are part of it. You can request to join here - CLICK HERE. You can send just one card a month or as many as you like and you may or may not receive anything in return - but that is ok as the whole idea about the group is giving and not receiving. However we find the more that you give... the more that returns to you! It may take time... but it does happen. Here are my Random Acts of Kindness Cards that I received during August and September 2018. Thank you all so much for the wonderful gift of Kindness. I really truely appreciate everyone of the cards that I recieve and I am so grateful to you all. I really hope to see you in our Random Acts of Kindness Group!! Thanks for joining us today!! Here is the list below of those taking part in our Random Acts of Kindness Blog hop today. Don't miss one as it is going to be a really fun hop today!